“Art is like an endless ocean. I can feel a sense of infinity, the heaven and sky—all a sense of infinity that I can feel through the ocean,” Yayoi Kusama tells Melissa Chiu in a conversation in Yayoi Kusama: Infinity Mirrors, the exhibition catalogue published by DelMonico Books/Prestel that accompanies an exhibition by the same name at the Hirshhorn Museum and Sculpture Garden, Washington, D.C. this February. The Hirshhorn is the first stop on a two-year, five-city tour; a full list of venues and dates appears at the end of this story. 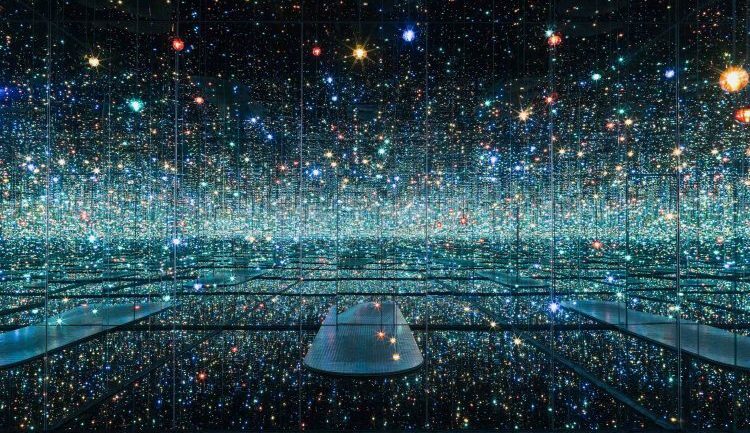 Infinity Mirrors is one of the most anticipated exhibitions of 2017, as it includes six of Kusama’s mindblowing Infinity Mirror Rooms. By now you’ve seen them in countless selfies taken by museum attendees around the world. Kusama has constructed magical spaces that capture the captivating expanse of vast, unknowable universe in rooms filled with multi-colored LED lights. 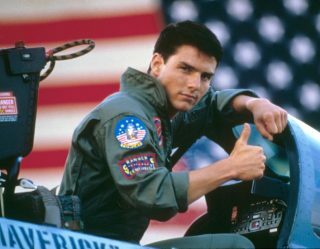 All the surfaces are mirrors so that the result is a gloriously expansive sense of being launched into outer space. With the Infinity Mirror Rooms, Kusama, who turns 88 in March, captures the sheer joy and pleasure the act of seeing entails. The simplicity of color, light, and repetition to the point of oblivion creates a deep sense of peace, love, and safety in that which could easily swallow us whole. Her work is not merely beautiful or majestic, it is profound, drawn from the deepest, darkest corners of her soul and produced as an act of healing and spiritual growth. 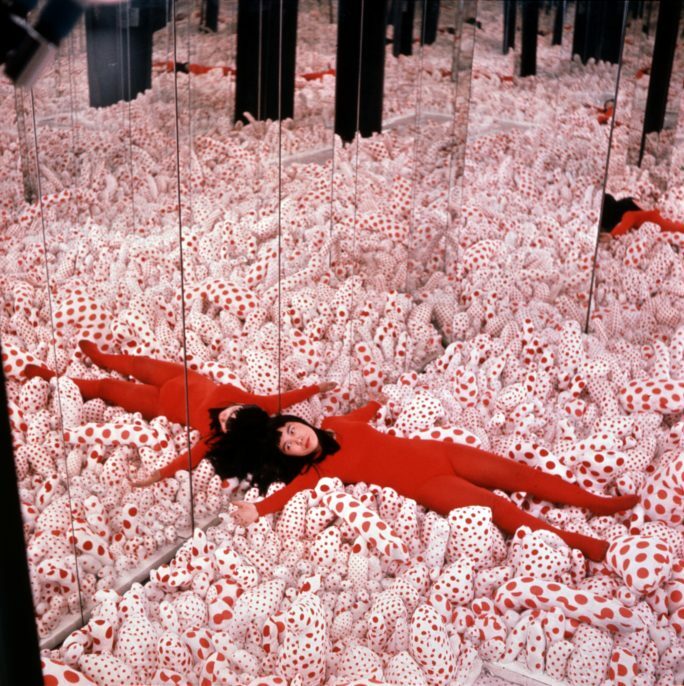 Four decades ago, in 1977, Kusama checked herself into the Seiwa Hospital for the Mentally Ill, where she continues to live, taking the curse of her illness and transforming it into a gift. Where many artists have been destroyed by their minds, Kusama has found a way to make peace through the act of creating art. Infinity Mirrors is a tribute to one woman’s crusade, her commitment to her life’s purpose, and her ability to use art as a form of poetry, philosophy, and prophecy alike. 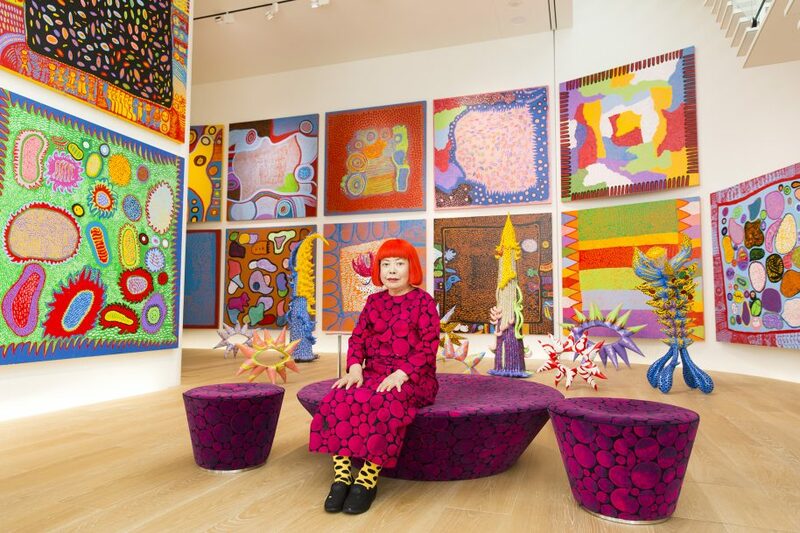 Despite her trauma, Kusama remained true to herself, dedicating her life to visually articulating her mind from the inside out. Her paintings, installations, and performance art works are wholly original, unlike anything before or since, but completely in keeping with the times when they were produced. Kusama is like the Oracle, speaking of fortunes and fates, striking the balance between the beautiful and the grotesque, wholly seizing the very essence of the now. It is this immediacy that makes Kusama’s art appealing to people from all walks of life: it is not just aesthetically compelling—it is relatable. 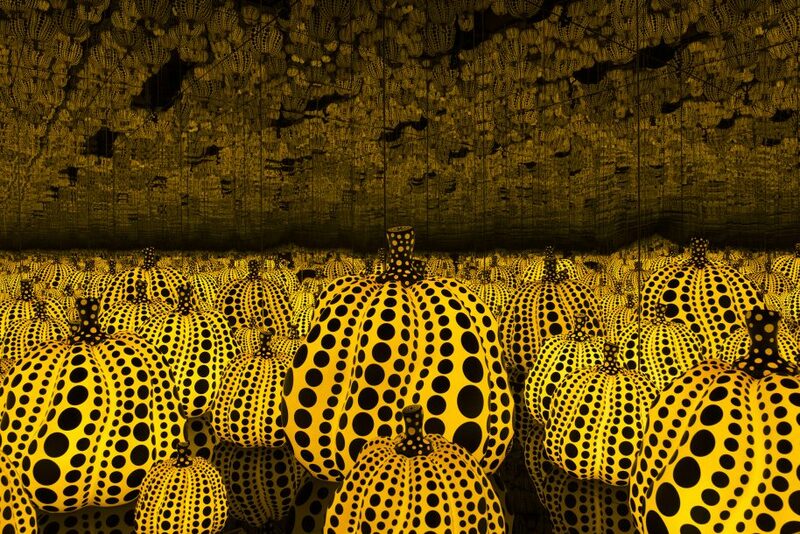 Even without knowing the details of her story, it is easy to feel the way in which Kusama speaks of the timeless beauty of oblivion and our desire to connect to it.